Protect your upper body with one of our versatile, effective outer layer jackets. With a selection of premium On-One and Planet X garments available alongside world-respected brands like Assos and Vermarc, or range is extensive; offering high performance jackets for every condition and application. 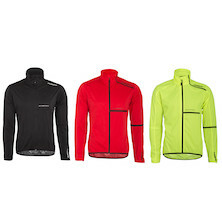 From lightweight wind cheaters and breathable waterproof jackets; to heavyweight angora wool winter warmers and technical race-level models- you are sure to find a quality cycling jacket that fits your bill. Agu's classic rain jacket is made from PORAY 5000 waterproof and windproof fabric. It's a great lightweight waterproof jacket for any cyclist and its small pack size makes it perfect for fititng in a back pocket for any ride. 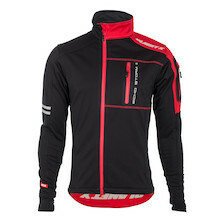 This stylish bike jacket is suitable for the colder winter days. It offers protection against wind and water, and is also breathable. 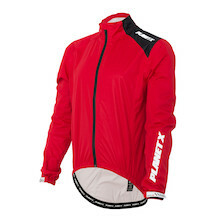 This keeps you dry and warm during winter cycling tours. The AGU Martello cycling jacket is made for cold winter days. It provides protection from the wind and is made of lightweight material. 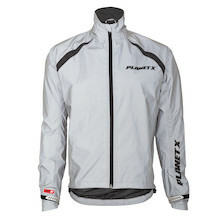 The cycling jacket is water resistant and breathes well. 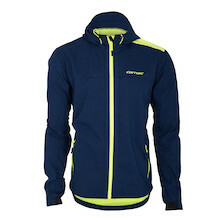 Simply superb, warm, soft to the touch, cut perfectly for active cycling, it's totally windproof. If you want a dry-weather windproof outer layer look no further. 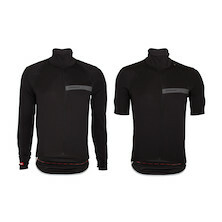 Totally windproof, breathable and a little bit water resistant, its super soft and supple to the touch and ideal for riders who prefers the feel of a softer long sleeve jacket and like zipped vents to cool off on hot rides. 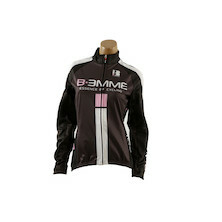 Biemme's Identity Women's Winter/Spring Jacket shares fabrics and features with the men's B-Evok but is shaped for a female fit. With lighter weight side panels its a versatile winter/spring jacket. 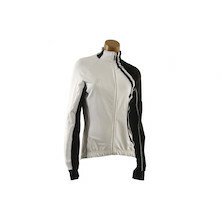 Lightweigth winter technical cycling jacket for women. Wind blocking fabric, female specific cut and Swarovski crystal logo for that touch of bling. The Carnac Apres Course jacket combines a 3-way stretch softshell outer with a waterproof PU membrane, napped fleece liner and Teflon water beading surface treatment to create our unique Duck's Back Protection. It's a cyclist's best friend. The Planet X 365 Illuminati Jacket uses our new Photonic retro-reflective material to help ensure that you'll stay safe and be seen after dark. 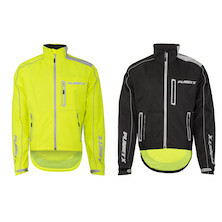 The Lumen8 Hi Viz Cycling Jacket takes the brilliant, glow in the dark, Photonic retroreflective fabric from our entry level Illuminati Jacket and adds all the features you demand in a top spec, foul weather ready cycling jacket. 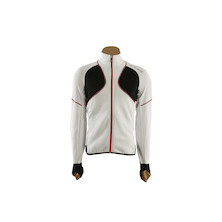 Fleece lined softshell jacket with PU membrane lined arm and shoulder panels. Made from a blend of waterproof softshell fabric and high breathable lycra it's the ideal top for the coldest days on the bike when you still want to push hard. 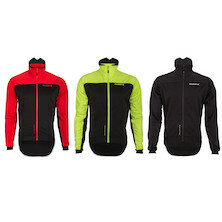 Chameleon like, weatherproof, technical bike jacket that's designed to protect you from the elements. The Magma will shield you from the worst of the wind and the rain when the weather is foul but quickly converts into a short sleeved race jersey when the sun comes out.